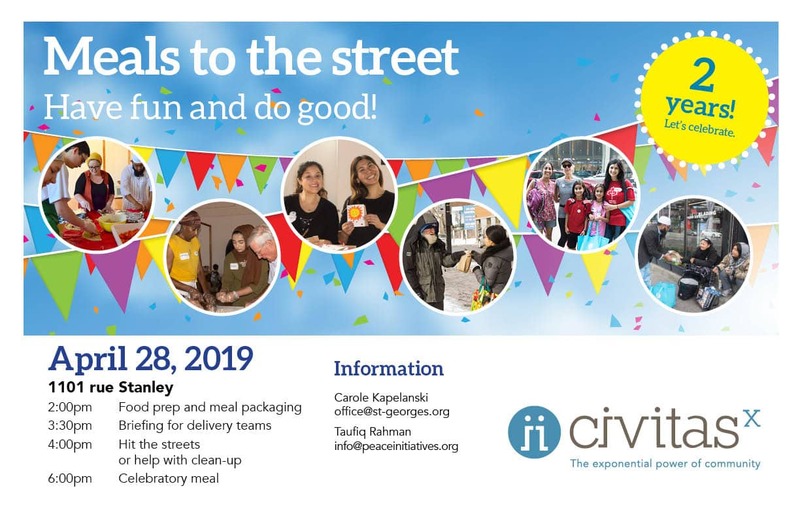 Meals to the Street is the first fruits of Civitasx and represents the desire of Faith Communities to serve the poor and homeless by bringing them food and compassion where they live. The initiative began in March, 2017. 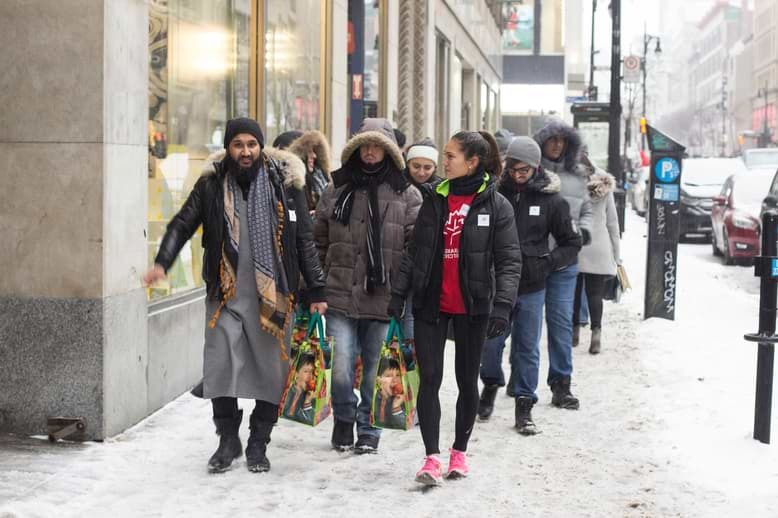 On the third Saturday of every month, more than 40 volunteers have gathered together to make 300 halal chicken shawarmas and package them with oranges, cookies, and a bottle of water. After a brief orientation we then divide into 5 groups and bring the meals to the streets with a smile and a friendly ear so that we might deepen relationships with those we serve and with each other. In total, over 3500 meals and countless compassionate conversations. So, you might think that this project is about the food. You’d be wrong. “Meals to the Street” is about so much more. from those who are homeless and living on the streets to those in the 1%. It’s about listening and learning, getting to know each other, no matter where we’re from and doing something that matters to each of us and to the community at large.